Because I take this job seriously, I decided to learn more about those parts of the industry I’m less familiar with, namely, distilled spirits. 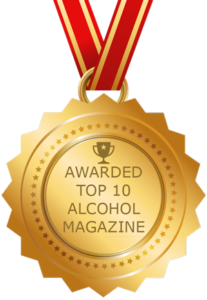 Of course I’ve had hard alcohol before, but I’d never really studied it—approached it the way I would a wine tasting—evaluating its aroma, mouthfeel, and flavor rather than just sipping to enjoy. 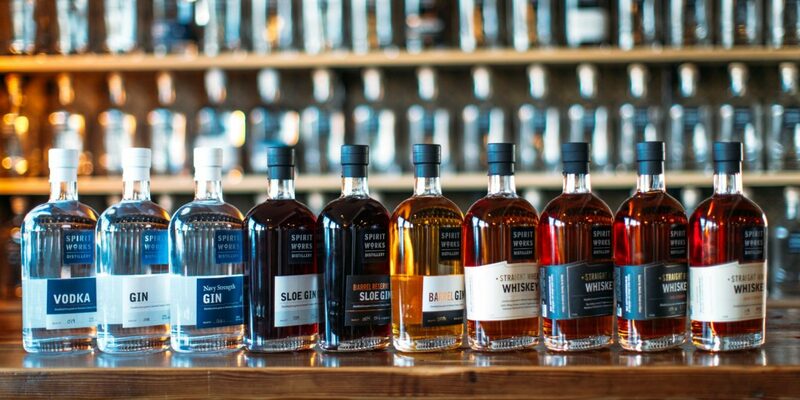 For assistance, I turned to Spirit Works Distillery, where founders Timo and Ashby Marshall have been crafting award-winning spirits since 2003. 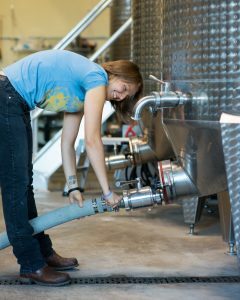 I spent an informative morning with head distiller Lauren Patz, learning about the ingredients, processes, equipment, and regulations that turn a simple grain into a glass of distilled delight. I won’t bore you with all the details (if you’re reading this, I hope you already know), but after gaining a deeper understanding of how it’s made, we retreated to the tasting room. 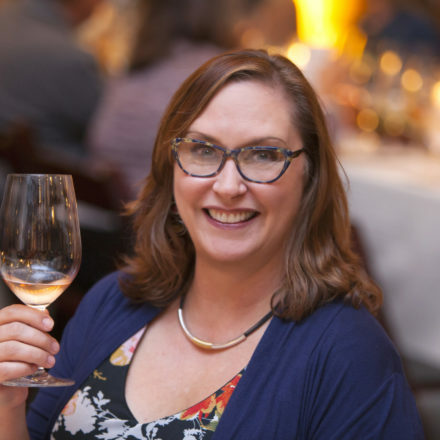 Here, my wine tasting experience came in handy—after un-learning a few ingrained habits, like swirling the glass and going in for a deep whiff (ouch!). 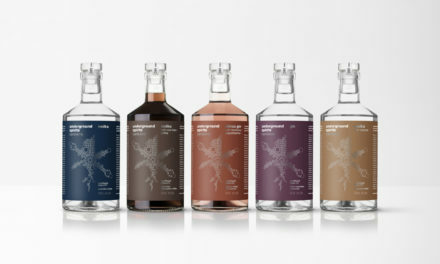 We started with the most neutral spirits and worked toward bolder flavors. 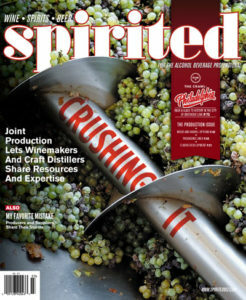 Because Spirit Works uses the same distilled red winter organic wheat as a base for most of its products, I was able to track a progression through the products, beginning with single-distilled wheat vodka (vanilla and butterscotch on the nose and palate), which is more distinct, says Patz, because of its viscosity and soft mouthfeel. With this as a starting spot, Spirit Works adds its signature blend of botanicals to create a “mid-Atlantic gin—halfway between a London dry gin and a New World/contemporary style,” says Patz. There’s a balance of juniper and citrus on the nose and a surprisingly spicy palate that goes down smooth and easy. “The goal is to add finesse and delicacy,” she says. Done. Four months in-barrel broaden these bright botanicals into heartier baking spices and give the Barrel Gin a decidedly “autumnal” character. We travel full circle with a taste of wheat whiskey, made from the same starting grain as the vodka. The next comparison was the wheat whiskey and a rye whiskey—a “high rye,” to be exact, meaning 70 percent rye grain with malted barley to smooth it out. “Rye can be very aggressive on the palate, in terms of spiciness,” says Patz. “Malt adds sweetness to the back end to mellow it out a bit.” The woodsy nose and bold palate are a sharp contrast to the wheat whiskey’s honey and apricot notes. I may be getting the hang of this. Coincidentally, the same week, I received a sample of Rabbit Hole whiskey. 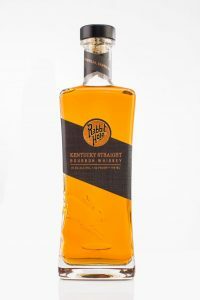 Rabbit Hole’s inaugural products have innovative mash bills, including the Kentucky Straight Bourbon, “the only bourbon on the market where barley is the secondary grain (70 percent corn, 10 percent malted wheat, 10 percent malted barley, 10 percent honey malted barley),” reads the press packet. Taking what I’d learned with Patz, I sipped with scrutiny. And, guided by provided tasting notes (the same way I learned wine tasting), I inched my way through. So here I am, just starting up a steep learning curve. Am I ready to fly solo? Not quite yet—but with time and practice, like my experience with wine, I’m sure to further appreciate the nuances and learn the styles I like. It’s not a bad way to make a living. NextDown the Line: When choosing a bottling system, it’s important to know what you need—and how your needs might change. Before being named editor-in-chief of Spirited magazine, Alexandra Russell had a long career in B2B and trade publications, book editing, and e-learning. She lives in Sonoma County, Calif., with her family. 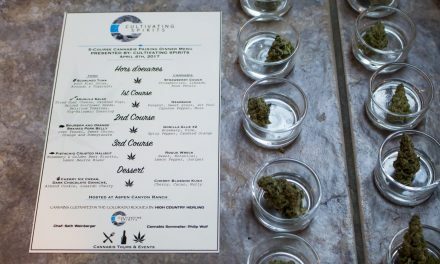 Going Green: Legalized marijuana brings challenges and opportunities to the alcohol beverage industry.